Winter sports in Alberta involve a lot more than a traditional winter sports vacation: it’s a complete winter experience. 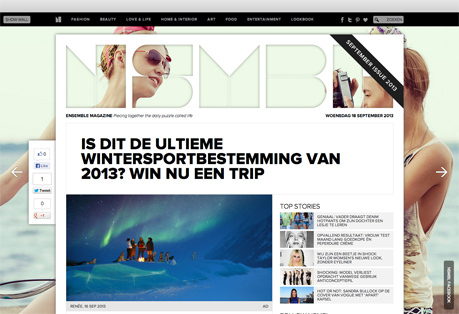 The campaign introduces Dutch winter sports enthusiasts to the region and, in particular, the winter activities it has to offer. Heli-hiking, dog sledding, ice climbing and many other winter activities in the Canadian Rockies are combined into a single unique winter experience – and the road trip of your life. 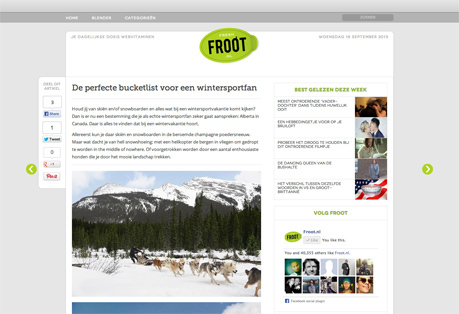 A journey that lets you cross off everything on your winter bucket list in one fell swoop. We call it: the Bucket Trip. 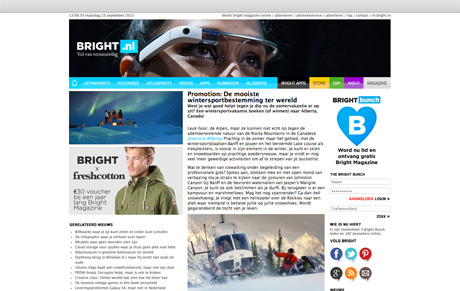 All linking to the homepage wintersportcanada.nl. 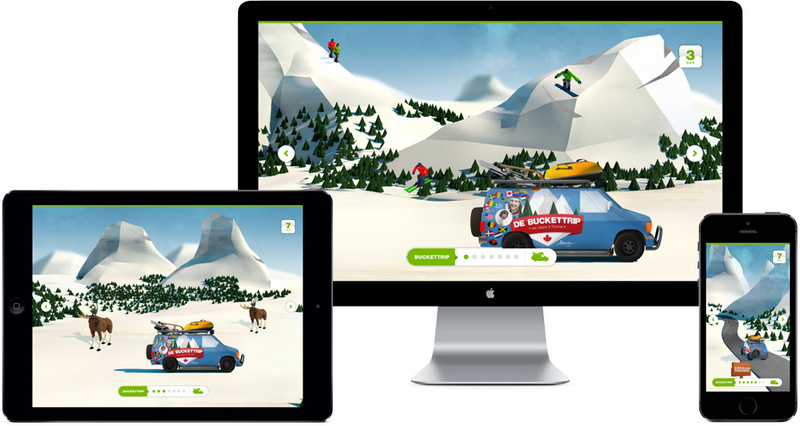 You were then redirected to an HTML5, animated world – and there you discovered all of the Bucket Trip’s winter activities. 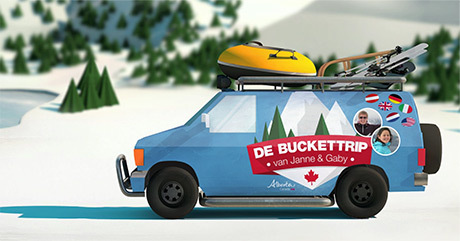 All excited about the Bucket Trip, everyone could sign up in order to win this road trip – and take someone along. 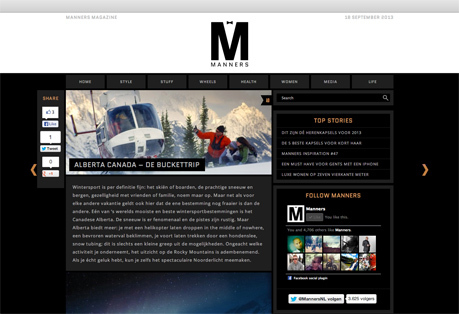 Competitors could win the Bucket Trip by designing their own personalized bus. The bus was automatically decorated via Facebook Connect with the team’s profile pictures and stickers of countries they had already visited. This gave every bus a personal touch and a road-trip character. Ultimately, a real bus would be ready and waiting in Calgary for the two lucky winners, who actually got to go on the Bucket Trip. And everyone could tag along – virtually, that is: via posts, live Instagram feeds, and the winning registration video clip. 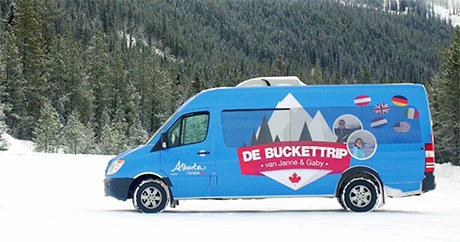 This way, everyone could see that this trip to Alberta is one that you, like previous winners Janne & Gaby, really need to check off your bucket list. 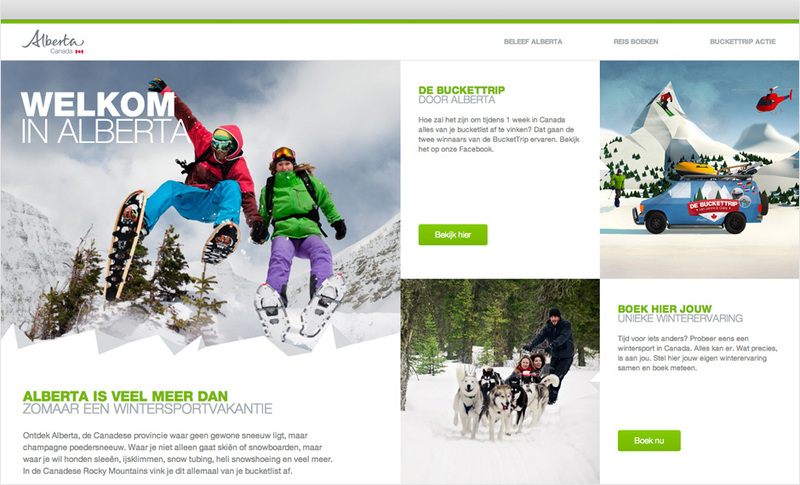 The offline and online connection gave all winter sports enthusiasts a unique way to experience the amazing diversity of winter sports in Alberta. 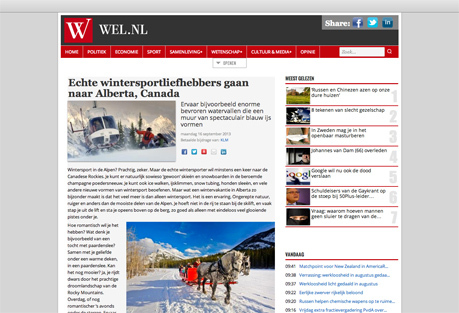 In fact, more Dutch holidaymakers travelled to Canada for their winter sports holiday this winter. 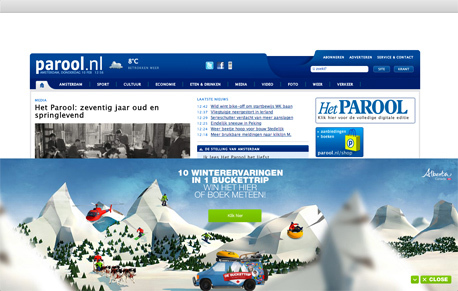 And we received lots of enthusiastic reactions from our Facebook fans.